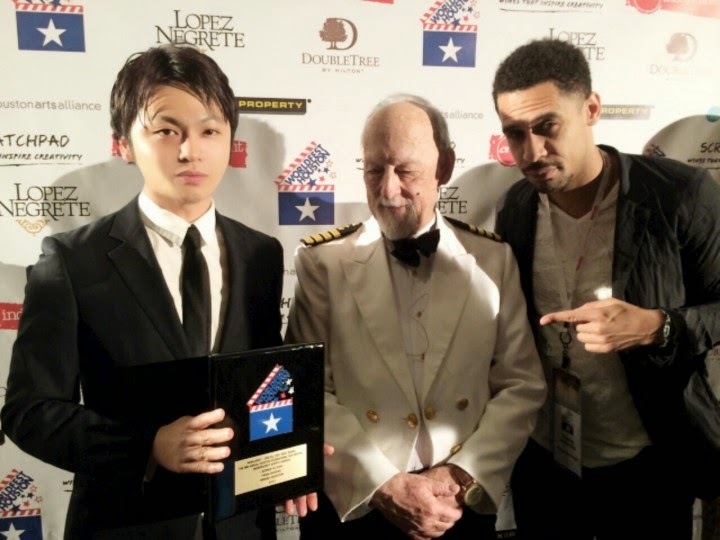 "The night of April 2015 18 Japan movie "MUGA SHOZOKU" is North America third of proud history of '48 as Film Festival once Steven Spielberg, department Top Award at the World Fest Houston International Film Festival, such as George Lucas was awarded I was awarded the Special Jury Award, which corresponds to. The night of April 2015 18 America in Houston, Texas Doubletree Hilton hotel, young American film director Rashad Haughton and Japanese producer Nagabuti Yosuke was fabricated teamed Japan movie "MUGA SHOZOKU" is North America third of proud history of '48 as Film Festival once Steven Spielberg, the Special Jury Award, which corresponds to Shorts Award Science Fiction department Top Award in George Lucas World Fest Houston International Film Festival, etc. was awarded (WorldFest-Houston International Film Festival) The award-winning, we shine in first place of the same department about 1500 pieces of entry. Director Rashard Haughton brother of that Utada Hikaru and Crystal Kay is the most admired artists, singer Aaliyah, who died in a plane crash in the popular heyday, yet the United States of diva. Rashad interested in Japanese anime and manga from childhood, major Japanese film in college. After the accident of Aaliyah, and emigrated to Japan as if shake off the sadness to learn the Japanese culture, was born American film director with a soul of Japanese. Nagabuti producer can jump out of Japan at the age of 15 in order to challenge the world, yet genuine Japanese boys, returned home after working in the video industry in London. In December 2014 Isao Takahata to 50 people successive Japanese producer in the world's largest movie database imdb, Shunji Iwai, and has been elected by Hitoshi et al and sequence youngest Matsumoto. By two strong personality and inspiration, such as reverse imports, was born one and only movie that does not belong to any existing category "MUGA SHOZOKU" is in Japan I was led to award of this time. This award was not just a prize for two people, is on the come in have been road Different etc. Japan loves Rashad and Nagabuti there was a common dream. I want to bring in overseas their hands a number of great Japanese content. Difficult title of production in the domestic budget also allows for production by connecting with overseas studio, I want to tell the splendor is carried out until the localization correctly in the world by themselves. But market initially young couple that initiated the activity if it is not made something first in the indifferent ourselves leads to production of work now to know that the dream is not stand also the starting point in reality even was enough. And I won the produce business request that won the trust of the North American side let me know of this award from multiple Hollywood leading production connecting Japan and North America. Two people we have efforts between Hollywood and domestic publishers towards the current production realization. 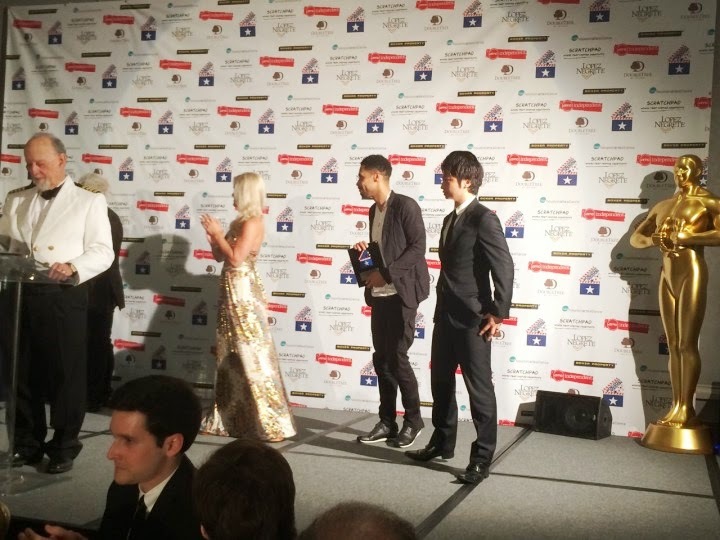 Come cheer finally future of young film industry lucky adventurer who was standing on the starting point thank you."